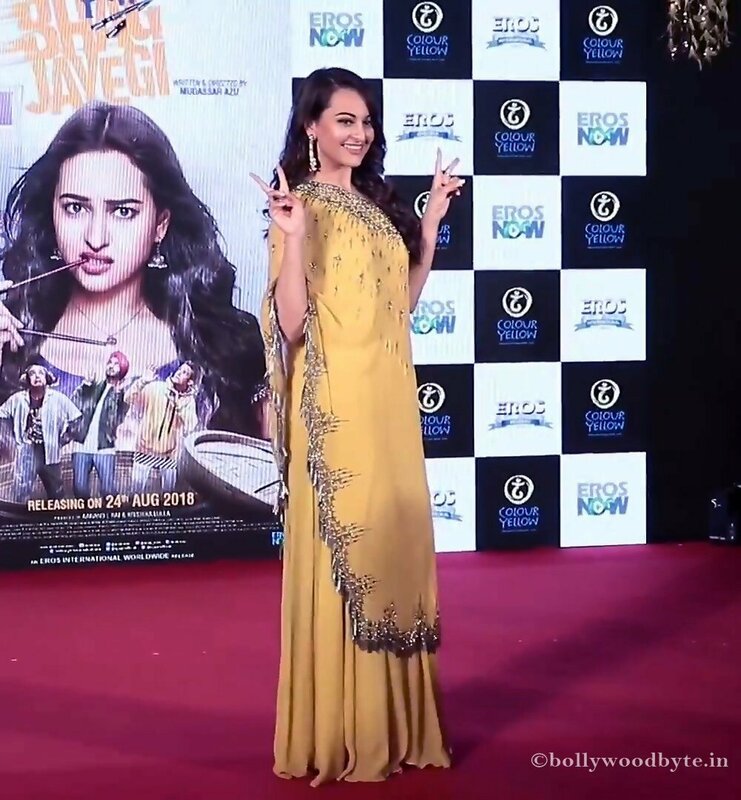 Attending her upcoming movie Happy Phirr Bhag Jayegi Trailer Launch Sonakshi Sinha look splendid in a yellow dress. Happy Phirr Bhag Jayegi is an upcoming comedy film directed by Mudassar Aziz and produced by Anand L. Rai and Krishika Lulla. The film is a sequel to Happy Bhag Jayegi (2016). It stars Diana Penty and Sonakshi Sinha in lead roles. The film is slated to release on 24 August 2018.